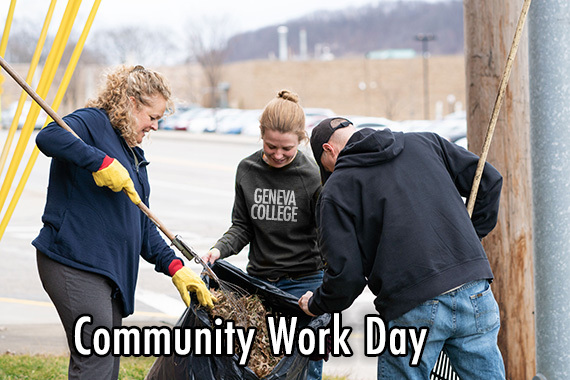 (BEAVER FALLS, Pa.) – Nearly two dozen faculty and staff members cleaned, painted, trimmed and raked on Geneva College Campus Community Work Day on March 15, 2019. The spring cleaning efforts help beautify Geneva’s campus in time to welcome students returning from spring break. The volunteers cleaned windows, painted curbs and benches, trimmed trees, cleared branches and raked leaves. The event was organized by Geneva’s Human Resources and Physical Plant Departments. It was the first event of its kind held at Geneva.